No more pouring your lotion, gel or oil and no more mess! Our Holster 4 liter pump offers 1 ounce or 30 ml per pump. 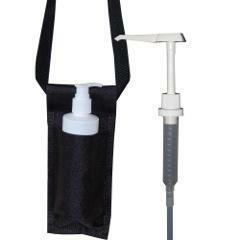 The holster with 250 ml pump is a nice way to never misplace your bottle during treatment.